Ride the magic of the super moon with this fabulous manifesting ceremony. 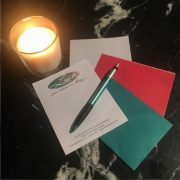 You will need: 1 candle, 1 pen, paper and 1 envelope. Choose a colorful envelope which you resonate. Prior to beginning, select a favorite place where you daydream, relax, feel fabulous. To clear the area, take 3 deep breaths, yawn and feel the energy becoming pure. If you have a set of tingsha bells: ring them, or a metal bowl: play it, a pendulum: swing it. Use any tool you naturally connect with to create your sacred space. 2. Light your candle and place your pen, paper and envelope before you. Choose the dream you want to manifest in 2018. Anything at all, let all logic fly away. 3. Close your eyes and take a deep breath. Allow your 3rd Eye to open. Your 3rd Eye is your 6th Chakra located in the center of your forehead. You may notice a beautiful indigo jewel sparkling. Or ..
You may notice a sense of your wisdom and knowing coming forth. Take a few more breaths and feel the power of your knowing. 4. Now ask your 3rd Eye to show you how your dream appears as it is unfolding. Let your imagination open free.Enjoy the experience. Let yourself be surprised by what you have created! Revel in this experience, become familiar with the way it is unfolding:Where you are, what feeling you sense, the climate, the colors, the sounds, the smells. 5. Take your paper and pen, begin to describe what you have experienced. Describe everything that will connect you to this experience. How YOU describe it is your personal connection. A word, a color, the environment, the climate, the sounds, the smells, possibly other people around you. 6. Take your paper and place it in the envelope. Select the location where you will see the envelope every day. Choose a room you spend the most time and locate the direction for the sector you choose to enhance. Connect the location more specific, examples: romantic relationship: your bedroom, career: your office. 7. Now go back to your original position and focus on the candle. As you blow out the candle, feel the power within you creating a clear path for your destination to manifest your dreams. Each time you see this envelope, you will feel the magic of manifestation. Become familiar with the feelings of success! Allow these feelings to expand and create the most magnificent you which you are destined to be. You are the driver of your destiny. https://loiskramerperez.com/wp-content/uploads/2017/12/supermoon-ceremony-e1512258040730.jpg 639 640 loiskramerperez https://loiskramerperez.com/wp-content/uploads/2016/05/Lois_Logo.png loiskramerperez2017-12-02 23:41:012017-12-02 23:42:50Super Moon Ceremony by Lois Kramer-Perez, Cht.